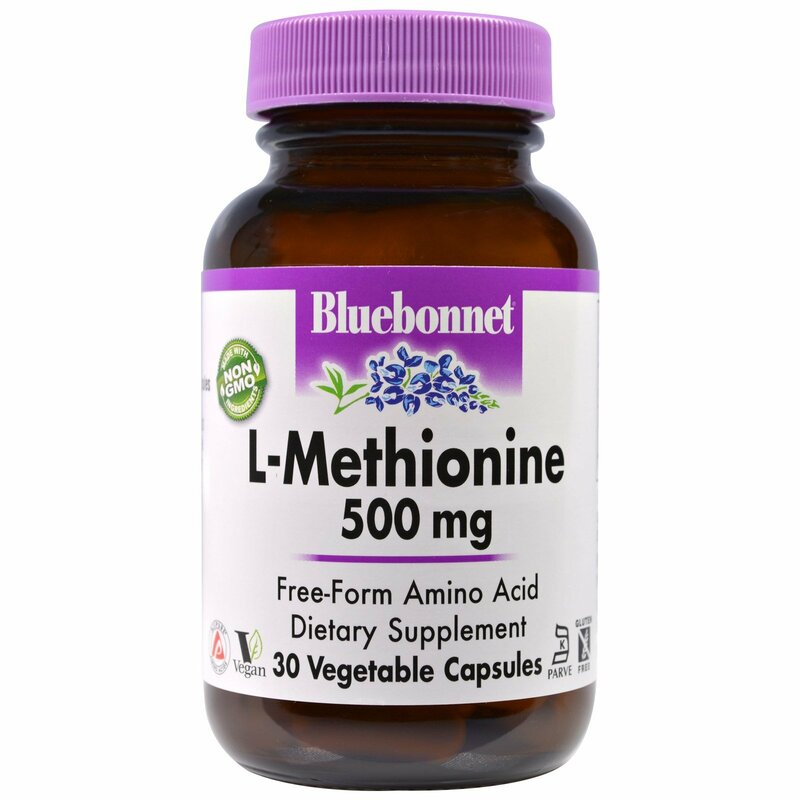 Bluebonnet's L-Methionine 500 mg Capsules provide the pharmaceutical grade, free-form amino acid L-methionine in its purest crystalline form from Ajinomoto. Available in easy-to-swallow vegetable capsules for maximum assimilation and absorption. 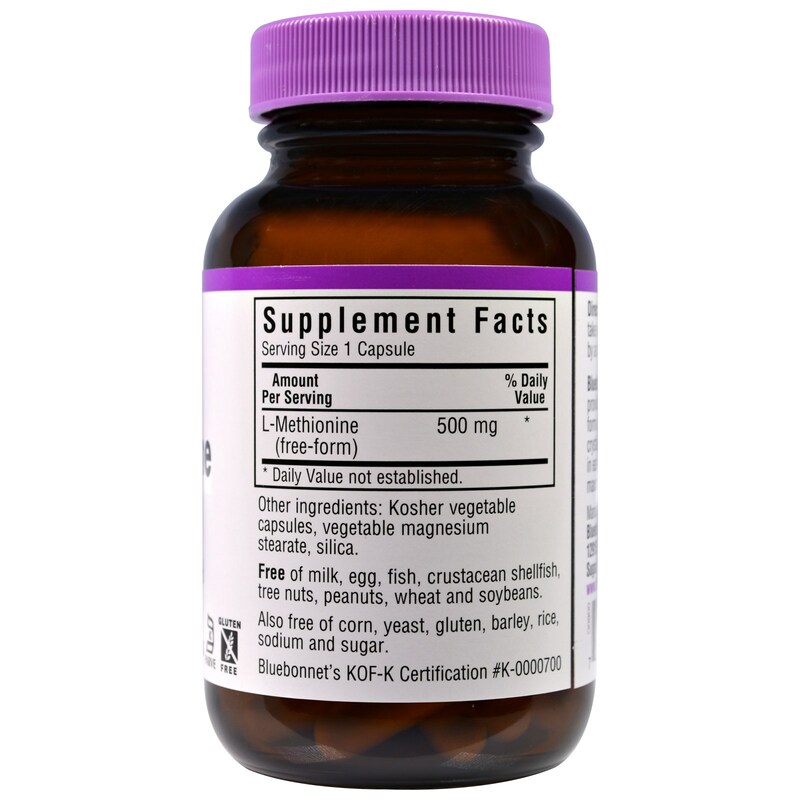 Kosher vegetable capsules, vegetable magnesium stearate, silica.